Hello everyone, this is Joni Andaya from Papell With Love and thank you for joining me today. 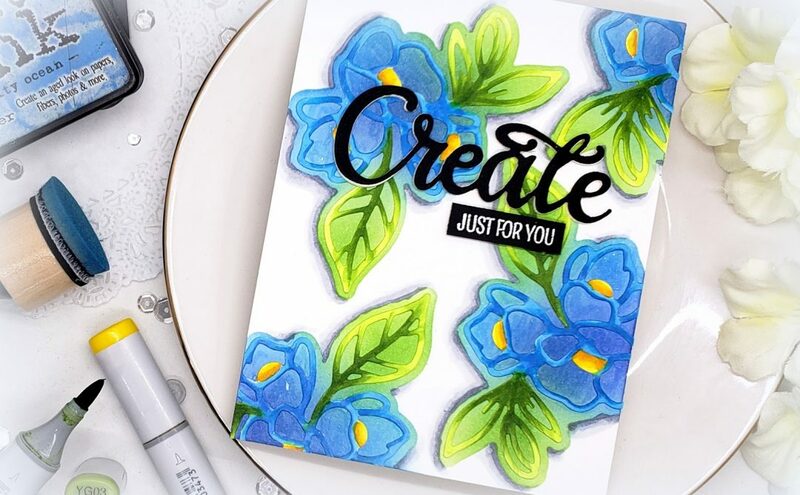 This post is highlighting products from On the Wings of Love Collection by Joanne Fink, which I did a Thank you card mixing different colored cardstock and using Copic Marker as my color medium. To begin, I first cut my yellow card panel. 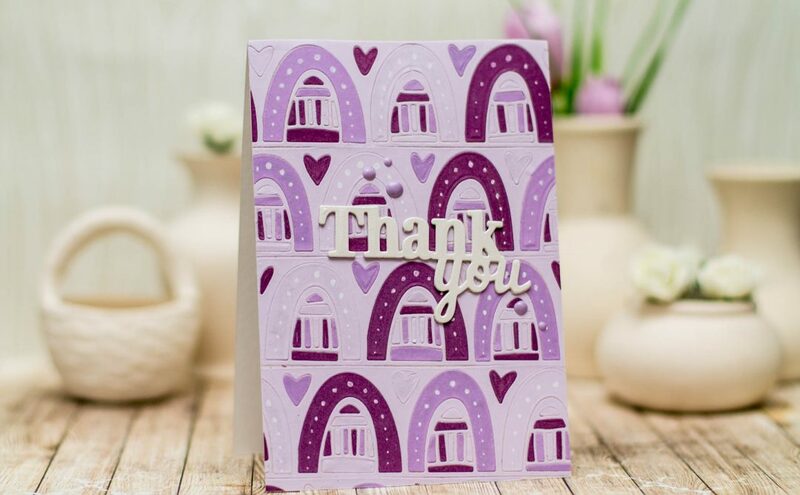 Then, die-cut the frame from Swirl Frame die set on a lilac cardstock and 2 on white and the “thanks” from Words die set. For my yellow card panel, I distressed the bottom using Distressed Ink in Mustard Yellow to give more intensity on the color. 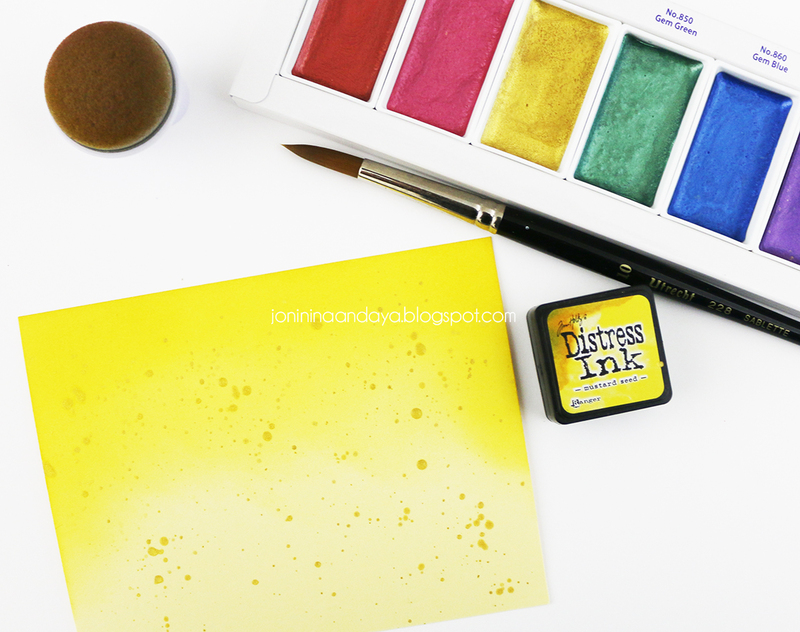 I also splattered yellow gold paint from Gansai Tambi Gem Colors. 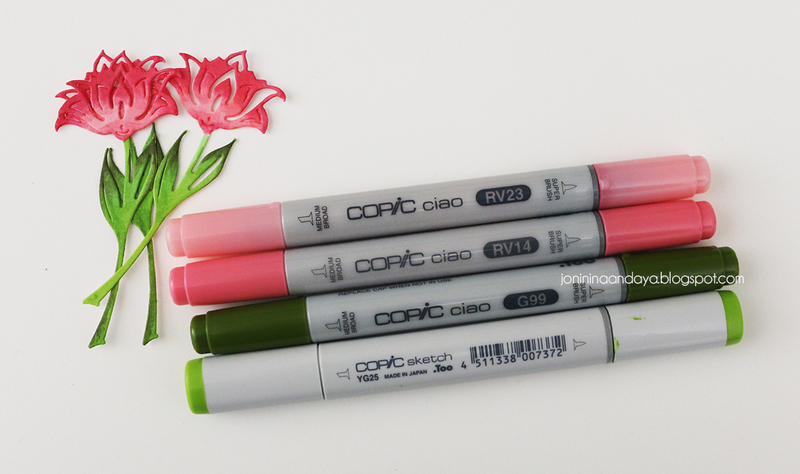 Next, I die-cut three of the flower from Swirl Frame die set and colored them with Copic Markers using RV23, RV14, G99, and YG25. 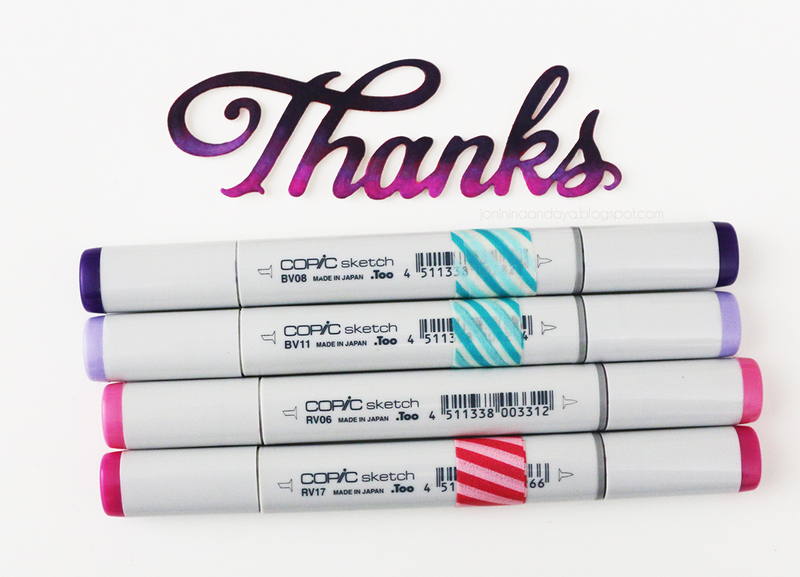 Same with the thanks die I also colored it with Copic Markers using BV08, BV11, RV06, and RV17. I also added some Pretty Pink Posh Pansy Purple Jewels. 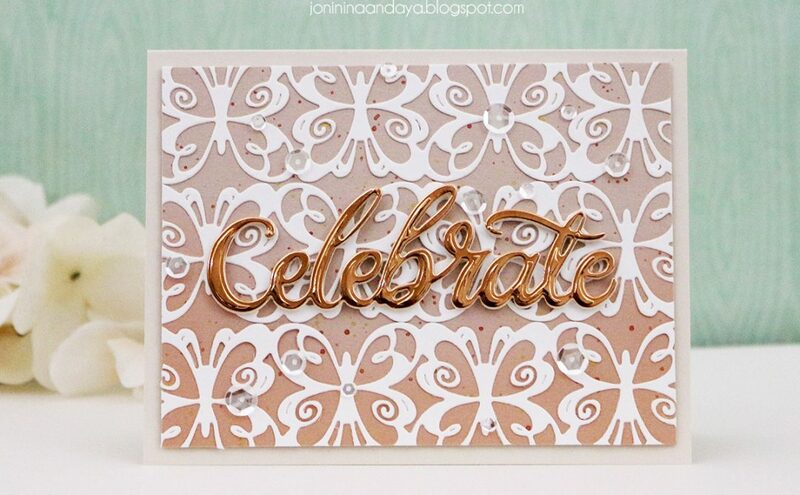 Here’s just a shot of showing all the die-cut cuts layered on top. 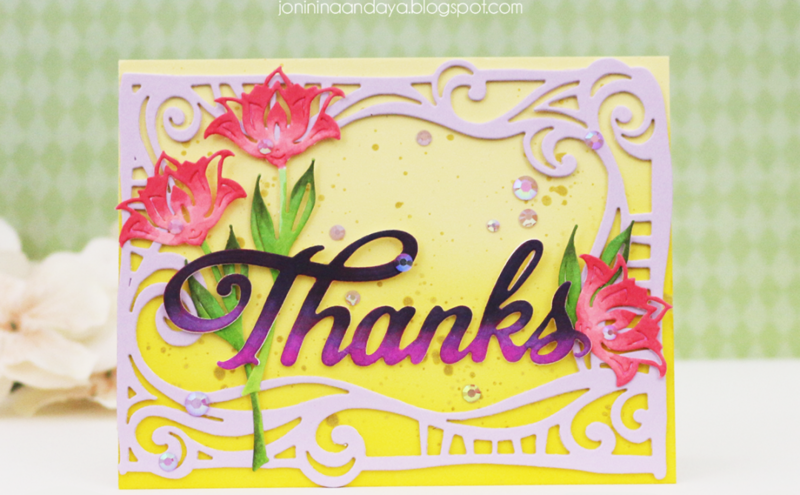 This is so gorgeous with the purple and yellow colors!!! 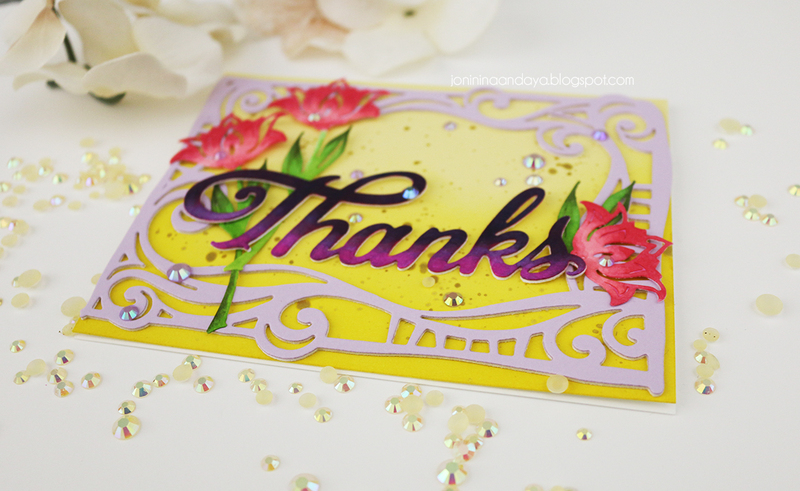 Happy Spring thank you card! !